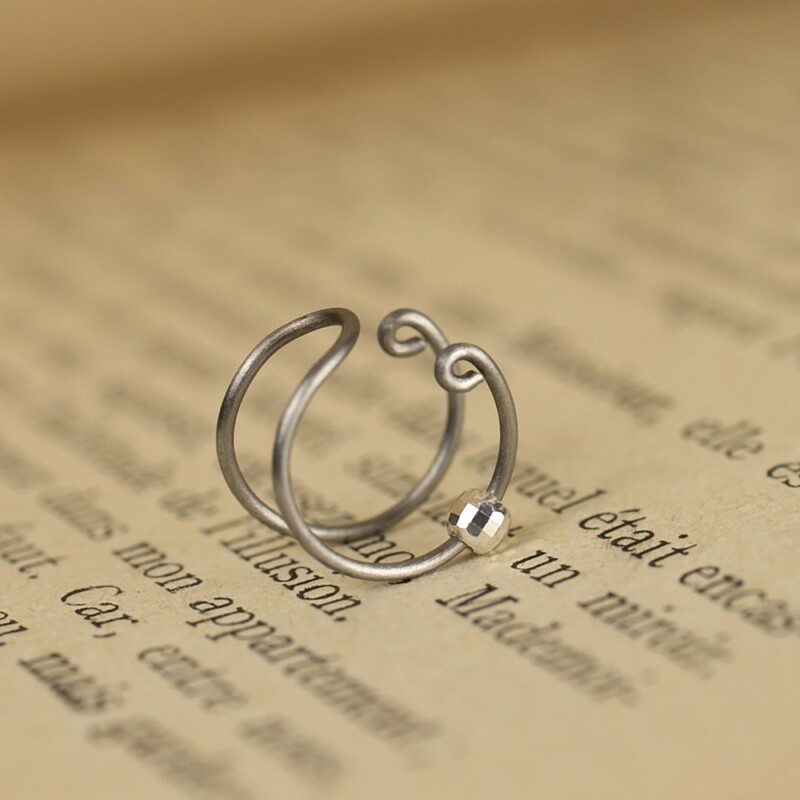 Handmade titanium ear cuff with two hoops and a faceted silver bead. Handmade, of pure titanium, grade 1. Convenient even for women who have very sensitive ears and who can't usually wear earrings because of allergies. The small faceted bead is in bright silver and measures about 3mm in diameter. 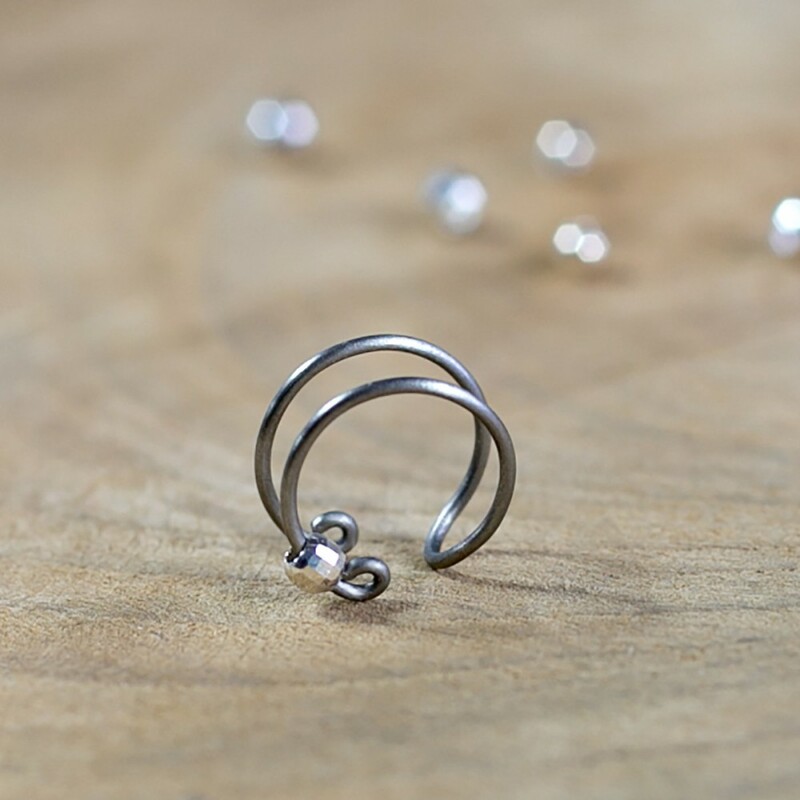 As the bead is totally free to move, you can place it the way you want, on the upper hoop or on the lower hoop, at the left or right ear. 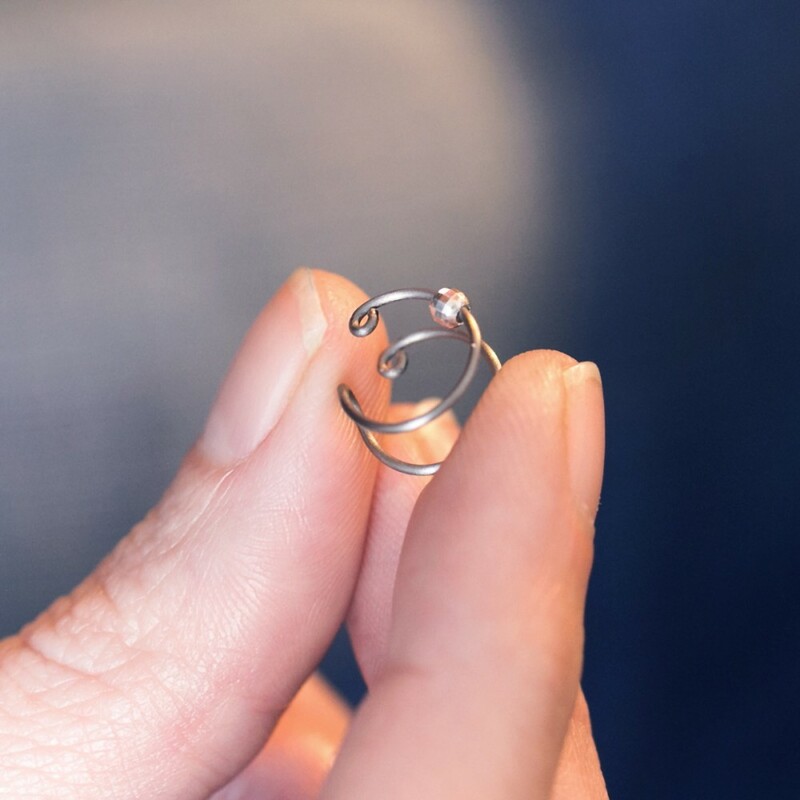 This ear cuff measure about 10mm in diameter, and is made of titanium wire. 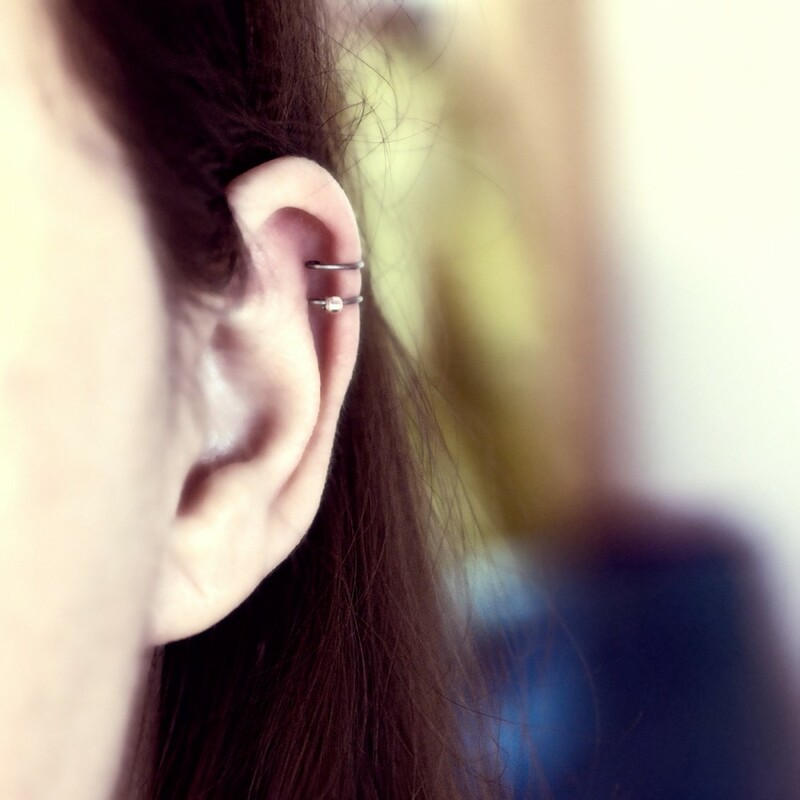 The default diameter of the titanium wire is 0.7mm (21 gauge), it is the size of the ear cuff shown on the pictures. Titanium is a very interesting metal with unique properties. Basically, it is one of the rare biocompatible metals, that's why titanium is commonly used for surgical applications, for example, to build prosthesis or posts to repair broken bones. Titanium is a naturally grey metal, darker than silver, very strong and lightweight too. Another interesting fact is that titanium is extremely resistant to corrosion, it does not react to the air or to water as other metals do (even sea water). To clean these earrings, use soap and water, then dry it with a soft cloth.